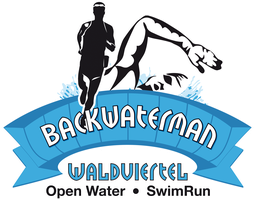 SwimRun trial 7.6 k - backwatermans Webseite! The focal point is the Ottenstein Castle, which offers a unique panorama for the start and finish as well as registration, award ceremony and race briefing in a medieval castle. The participants over the 7.7 km trial distance experience the heart of the Ottensteiner reservoir in the immediate vicinity of the dam. 4 running and 3 swimming sections offer a lot of variety. Start and finish, in front of Ottenstein Castle, is definitely a unique experience. 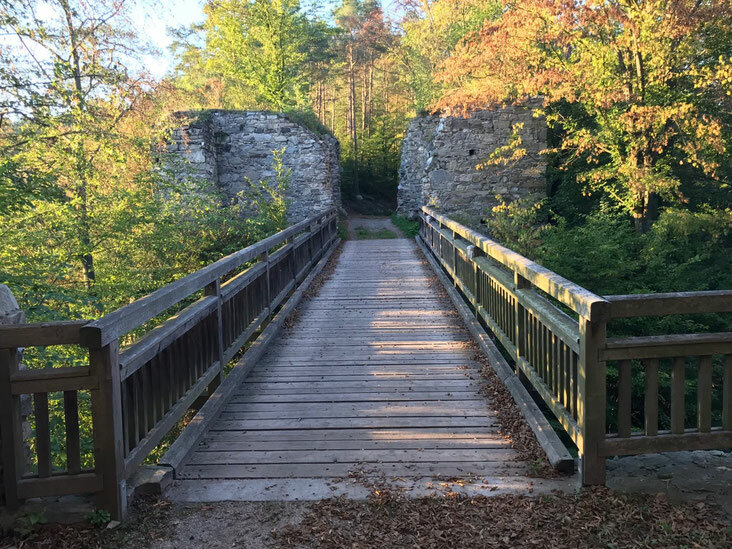 The nature trails, the ruin Lichtenfeld, some places of power and wonderful views arise on the whole route. The race starts at 10.30 am with the half marathon starters. The race briefing for the participants will take place at 10 am, however it is recommended to visit the official revenge lettering the evening before at 18.00. The trial and half distance can be tackled individually or as a team. The trial circuit is part of the marathon and half-marathon route and is expected to provide some encounters with the top stars that come to our participants from the marathon loop at the Dobra Reservoir. While the trial starters turn back to the castle at the 1st hotspot, the half marathon and the marathon starter go together for the long lap towards Zwettel. Watch out in time for the castle turn, otherwise it can be longer. Attention the registration for the SwimRun competitions opens on 1.2.